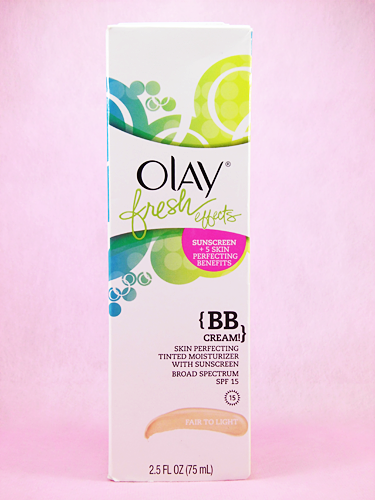 Here’s a review on a product I’ve been wanting to try for the longest time now, as well as had high hopes for, and one that’s an addition to my already too large BB cream collection: the Olay Fresh Effects BB Cream ($13.99). I actually wish I could try the entire Olay Fresh Effects line that also includes a face wash, exfoliating scrub, eye cream, etc. but sadly they haven’t brought the line here yet. Product info: Fresh & free: No oil or PABA. Just the good stuff. 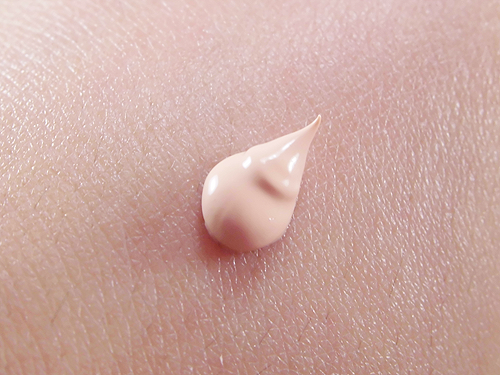 BB Cream, also known as beauty balm, is one of Asia’s hottest beauty sensations. Its multi-tasking formula works to moisturize, brighten and help protect skin from harmful UV rays. This silky, tinted lotion blends effortlessly with your natural skin tone, helping hide imperfections and minimizing the need for concealer and foundation. With just one use, skin will be left glowing and naturally even. For sparkling fresh skin, mix, match and layer to create customized skin care that’s as expressive and vibrant as you are. 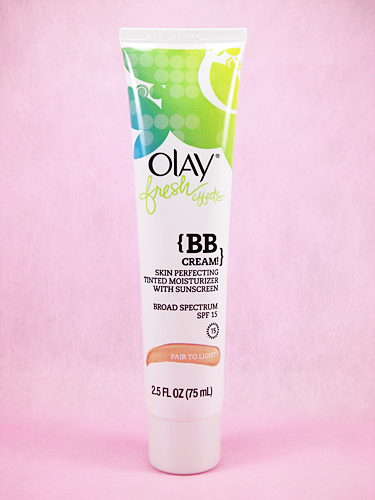 Like its name, the packaging of the BB cream really gives of a fresh and fun vibe. I know, the tube is really slim and it looks like you don’t get that much product, but it’s quite a ‘tall’ tube so you definitely get a good amount. 2.5 fluid ounces to be exact! Are you noticing something already though? This obviously says on the packaging that it’s a BB cream, but right under it’s also got ‘tinted moisturizer’ written down. Excuse me? I know that some BB creams, particularly those with very sheer coverage, end up performing like tinted moisturizers, but they’re still two different things. I grew a little disappointed as soon as I saw this, especially because I rarely wear tinted moisturizers since I always like having some level of coverage when I go out. I know, my bad for not having spotted this, but at the same time, who at Olay thought it would be a good idea to market one product as something else? 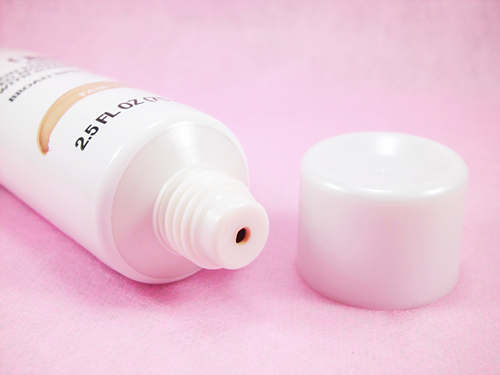 The tube has a somewhat large hole, so I immediately thought the BB cream would be able to leak out easily and I’d always have to be careful whenever I squeeze to dispense the product out, but it’s surprisingly easy to control the amount released and it hasn’t leaked at all on me yet. The cap is a twist on-twist off kind which also makes it a lot more secure than the ones you flip open and closed. This product comes in two shades: “Fair to Light”, which I got and suits my skin tone nicely, and “Light to Medium”. The consistency of the BB cream reminds me of lotion or face cream. It’s not thick but not exactly thin either, so it’s somewhere in between. Blending is easy though and it sets onto skin fairly quickly, within a few minutes or so. Despite my initial disappointment, I’d have to say I don’t entirely regret buying this. In fact, it made me realize I should probably start being practical and wearing tinted moisturizers more often, especially for those days when I’ll only be out for a few hours or less and need very light makeup. After all, if I still want a bit more coverage then, I can compensate with a full-coverage powder on top, right? Also, I’ve come to like using this under proper BB creams or foundation because it adds a bit more of much needed hydration for my skin. Easy to spread and blend in. Has a very light lotion-like scent. Very slightly minimizes pores and the sight of sebaceous filaments on my nose. Very sheer coverage, doesn’t hide or cover even my minor blemishes. Doesn’t even out my skin tone. Comes in only two shades which are both on the light side, but since it’s so sheer then I don’t think it’ll be much of a problem even if you have a very dark or warm complexion.